Today in this post I will tell you how you can give same name to two different files. When you give a same name to two files, if both files have different extension then you won’t get any problem but when both file is of same extension and in same location (folder) it will show an error saying “There is already a file with the same name in this location.”. If you want to surprise your friends by showing them that you have given same file name to two or more different files which are in same location (folder). You just need to add a blank space before the extension and after the file name for e.g. 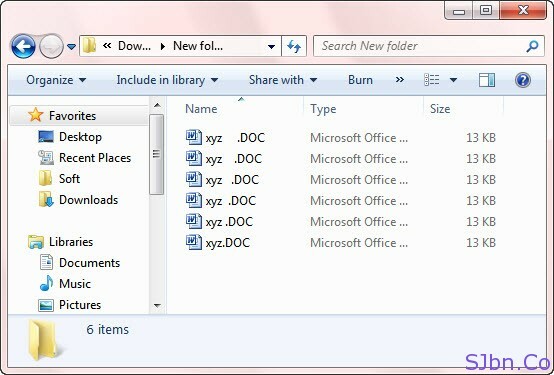 : there are three files which need to be with same name and let’s take file name xyz.DOC, now here .DOC is extension, so the fist file name will be same as it is, in second file we will add one blank space and it will become xyz .doc, in same way in third file will add two blank space and it will become xyz .doc. Now to make it look perfect hide the extension from Folder Option, then show and surprise your friends. 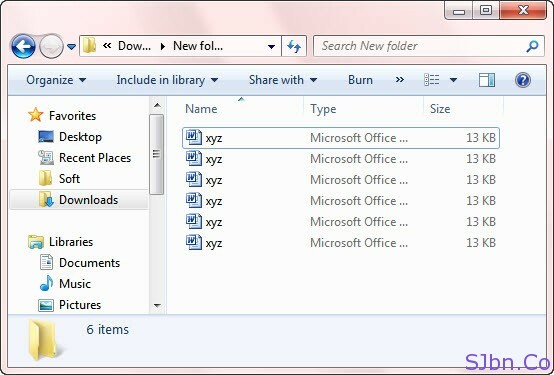 Like this you can make as many files you want. If you have any question or problem let me know.